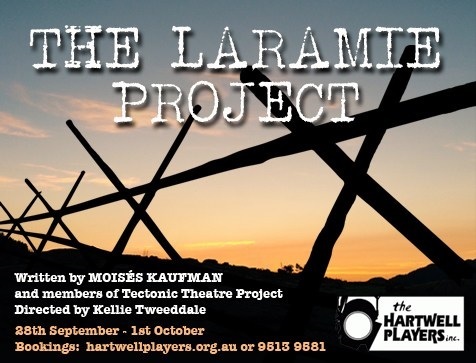 The Laramie Project comprises of monologues and dialogue based on hundreds of interviews, news reports and court transcripts taken from the people of Laramie after the brutal death of Matthew Shepard. Matthew was a 21 year old University of Wyoming student who was kidnapped in 1998, severely beaten, tortured and tied to a fence to die – all because he was gay. His battered body was found the next day and he died in hospital shortly afterwards.The Laramie Project is both an uplifting illustration of the human mind and spirit, and a tragic outline of the ways in which ignorance can often blind us.